Who Would Dare Hack Delaware? November 27, 2017 / Election Law Society / Comments Off on Who Would Dare Hack Delaware? Ballot Ordering: A Recurrent Controversy in Virginia? 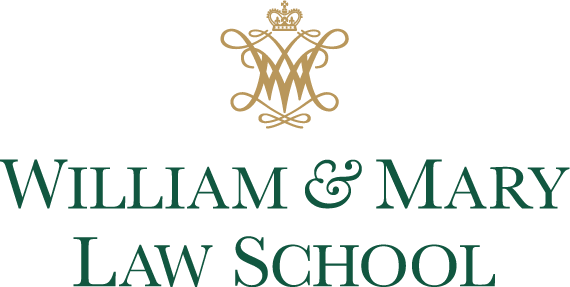 October 13, 2017 / Election Law Society / Comments Off on Ballot Ordering: A Recurrent Controversy in Virginia? In at least the two most recent “big” elections in Virginia, the 2016 Presidential race, and the 2017 race for Governor, there has been some controversy over the method used to decide which order candidates appear on the ballot. In March 2017, the Corey Stewart campaign issued a press release accusing Ed Gillespie’s campaign of “manipulating the Virginia Board of Elections in a last-ditch, rule-breaking effort to have Ed’s name placed at the top of the [primary] ballot.” Virginia law provides that ballot order for primaries is determined by the time that a candidate files for the office, on a first come first served basis. If candidates file simultaneously, ballot order is determined by lottery. The Stewart campaign went so far as to camp out in front of the Board of Elections offices the night before in order to be first, but alleged that Gillespie’s campaign was pressuring the Board to consider their filings simultaneous. Looking back just a bit further, Virginia’s ballot ordering rules also caused some controversy during the 2016 election cycle. In general elections, Virginia law provides that candidates from major political parties, that is, parties that receive more than 10 percent of the vote in two previous statewide elections, are listed on the ballot first, followed by candidates from minor parties, and lastly, the names of independent candidates. This law was challenged by a former minor party candidate for governor, Robert Sarvis, of the Libertarian Party, and eventually found its way up to the 4th Circuit. In June, 2016, a three judge panel of the 4th Circuit affirmed the district court’s dismissal of the case, based largely on a theory that the ballot ordering law does not harm minor parties. It is hard to say whether this controversy will continue. Two data points hardly make a trend, but the issue has proved important enough to drive a gubernatorial campaign to literally camp out in front of the Board of Elections, and a third party candidate to fight a case up to the 4th Circuit. Why is ballot ordering even an issue? Surely voters are able to discern which candidate they prefer, no matter the order of names on the ballot. Contrary to this notion, there is a body of evidence that suggests that order on a list does matter. It seems that when people make choices, there is some preference for selecting choices that are listed first, or higher, in a list of choices. Larry Sabato, writing for the University of Virginia Center for Politics, has looked at the political implications of this bias. His conclusions contain an interesting implication for ballot ordering in Virginia. While he concludes that races for major offices such as president and governor are not highly impacted by serial position effects, lesser offices and non-partisan races are especially susceptible. Therefore, many “lesser” elections in Virginia, where candidates are not associated with parties, may be especially influenced by this form of selection bias. It is possible that ballot ordering controversies will go nowhere, and that the issues raised in 2016 and 2017 will be a fluke. On the other hand, in an increasingly polarized voting climate, where parties compete to eke out whatever advantages they can, perhaps the minor advantage gained by being listed first on a ballot will become increasingly attractive. Ballot ordering is a currently minor issue, but one with increasingly significant potential. In his magnum opus role as Jim Stark in Rebel Without a Cause, James Dean portrays a frustrated teenager who is fed up with his bickering parents and causes all sorts of commotion by acting out against all sorts of authority figures. The Sunshine State can relate. The G.O.P. establishment has quickly portrayed Florida as the disobedient child after its Legislature decided to move the Presidential Primary date up to January 31st, throwing off the party’s planned schedule and forcing the big four primary states at the beginning of the cycle-Iowa, New Hampshire, Nevada, and South Carolina to move their primaries and caucuses into January as well. With this move, Florida is flying in the face of a parental grounding of sorts. The Republican National Committee has promised to strip the state of half of its delegates at the National Convention next summer (being held in-you guessed it-Tampa), as well as threaten to move the delegation to the back of the Convention Center and away from the cameras.